There'll be one less thing to worry about. (SPOT.ph) Living in Metro Manila means you've probably heard lots of horror stories about bags getting slashed or people getting mugged—it's one of those things that everyone who's ever been in a big city has had to worry about. Well, we found bags that can help give you some peace of mind. Australian travel-gear brand Pacsafe creates anti-theft bags that all feature a patented eXomesh®, made of flexible stainless steel that acts as an impenetrable barrier—so your things stay safe even when you're out and about. They've also added even more safety mechanisms to their products like slashguards, RFID-blocking technology, anchor straps and cables, and different kinds of security locks and zippers. 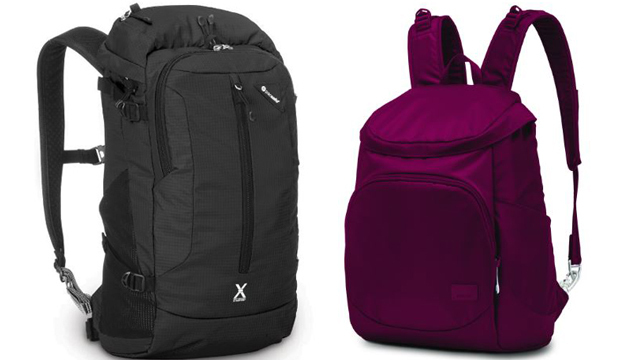 These bags are perfect for all kinds of adventures! Pacsafe is located in Glorietta 5 and SM Mall of Asia. It is also available in Urbanize branches in Gateway Mall, Shangri-La Plaza, UP Town Center, Glorietta 3, Uptown Place Mall, Alabang Town Centre, and Kiss & Fly in NAIA 3.